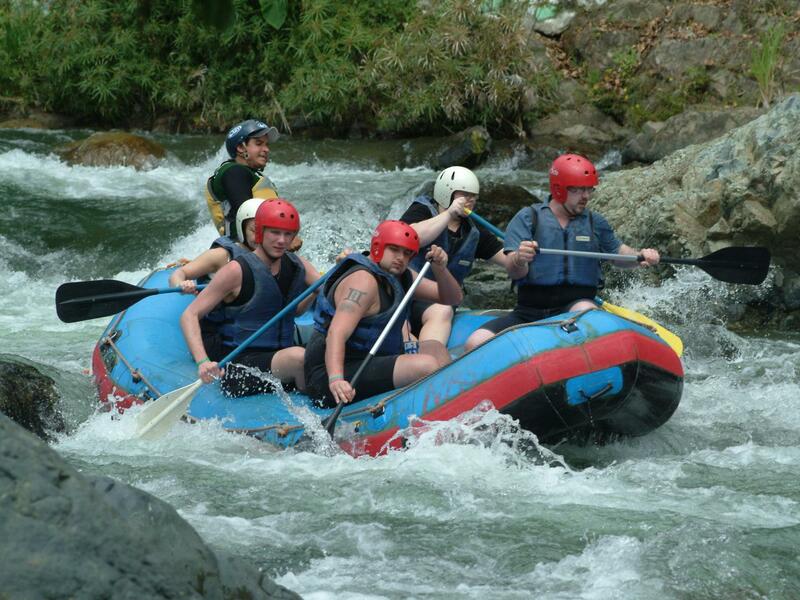 Are you looking for an exciting adventure in the Caribbean mountains? Are you into action, water sports and beautiful scenery? Then you will love this trip just as much as we do because it combines everything. 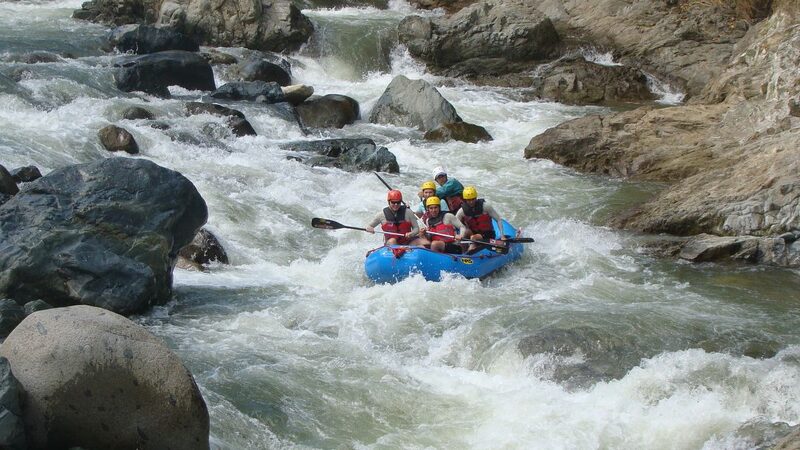 Recently we hosted a group of guests to the Rancho Baiguate for what might have been the biggest adventure of their holiday: River Rafting in the Dominican Republic! We drove up into the mountains 1,700 feet where we reached the lush green town of Jarabacoa, known as the ‘City of Eternal Spring’. It is nestled in the foothills of the Cordillera Central, often referred to as the ‘Dominican Alps’. We could definitely feel the temperature dropping three to four degrees during the drive, as the altitude increased. When we arrived at our destination, the ‘Rancho Baiguate’, a safari truck took us to the river where our rafting adventure started. Even though the truck ride was a bit bumpy, the scenery was absolutely spectacular! It was an incredible experience rafting down the Yaque del Norte, the longest river of the Caribbean; we could actually feel the adrenaline flowing through our veins. The breathtaking views and beautiful nature (that can only be seen from the perspective of the river) provide a uniquely enjoyable experience. 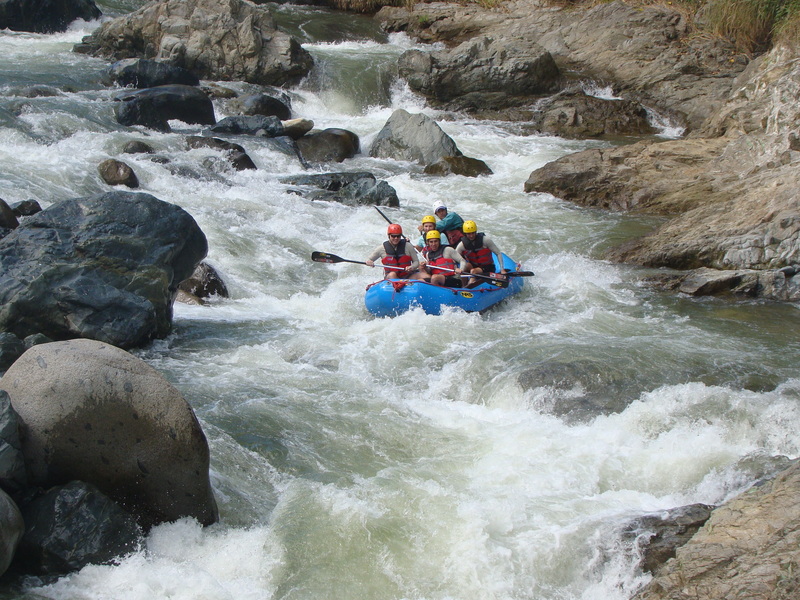 The rafting took us through turbulent foaming rapids. Water was splashing into our boat and threatening to turn it upside down. We were avoiding rocky barriers and sliding down waterfalls as the currents threatened our raft and provided an action packed adventure. 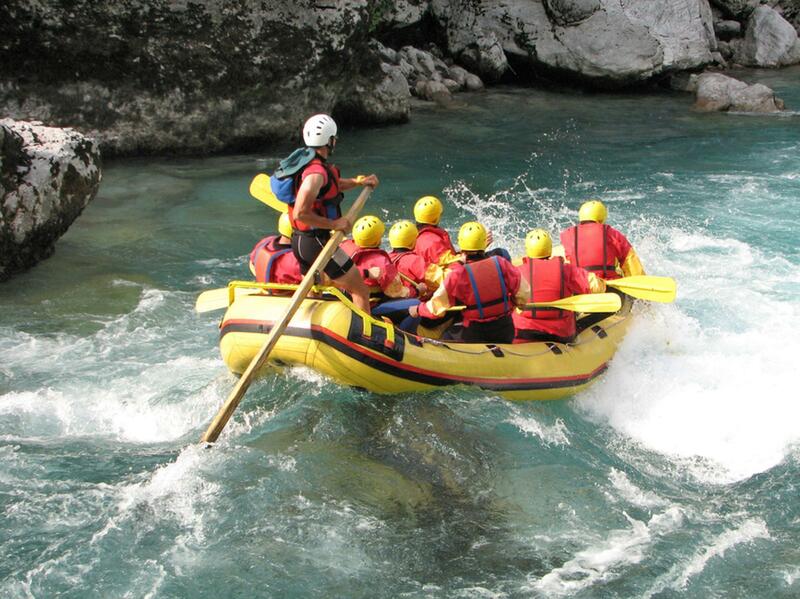 But thanks to our very experienced guides, we mastered the rapids and felt safe at all times. Eventually we reached the natural pools that mark the end of the river’s drop to the ocean and were able to relax and enjoy the calm refreshing water. A delicious, traditional Dominican lunch was then served by Rancho Baiguate. We definitely needed it to recharge our energy levels as we chatted and relived the exciting times we had shared, and the wonderful rare experience we had enjoyed. These tours let you explore not only the center, but all the best spots of the Dominican Republic. Please contact us for your customized itinerary. If you fancy a private mountain-BBQ or lunch for you and your friends and family at the end of the tour, we would be happy to organize this for you, exclusively prepared by our own MI CORAZON catering and our renowned executive chef! 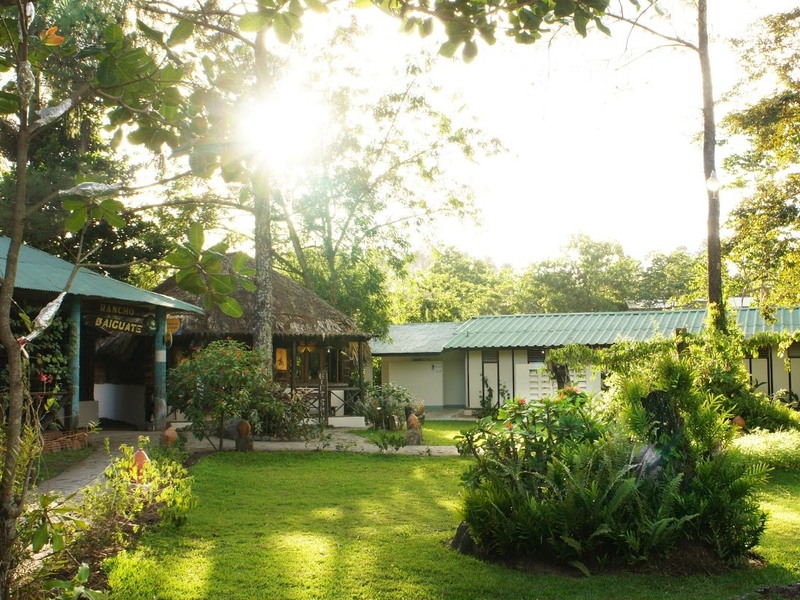 If you would like to stay in Jarabacoa, we can recommend the hotel Rancho Baiguate. It can be booked directly through DOMINICAN EXPERT. Apart from River Rafting, it offers many other activities such as canyoning, horseback riding, mountain biking and a butterfly garden. or you can spend your time exploring the beautiful nature around Jarabacoa. From Jarabacoa you can continue your journey to the North Coast of the Dominican Republic where you can visit the fantastic and unique Cayo Arena. Alternatively, if you are up for more mountain experiences, head to Constanza or the Parque Nacional Valle Nuevo with the highest mountain road in the Caribbean and the highest altitude accommodation as well.